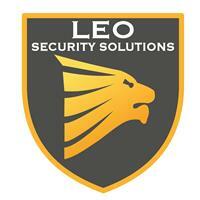 Leo Security Solutions - Garage Doors based in Tamworth, Staffordshire. My name is Chris Barkhouse and I am the owner of Leo Security Solutions a successful garage door and shutter installation and repair company based in Tamworth, in the Midlands. I started up my business at the end of 2015 and strive to provide a professional and customer driven service for domestic and commercial customers. I enjoy crafting perfectly fitted garage doors/shutters and the challenge of problem solving garage door/shutter door break downs. I have worked in this industrial sector for 15 years and worked for a leading shutter manufacturer in the North West for 13 years, providing me with an array of skills and expertise. I initially worked in the product development department designing and testing the products and then moved on to training fitters on product installation.